It's a normal college, here the best thing is faculty's are so helpful. The bad things I'll highlight here is the management. And the good thing or the best thing is the teacher's. 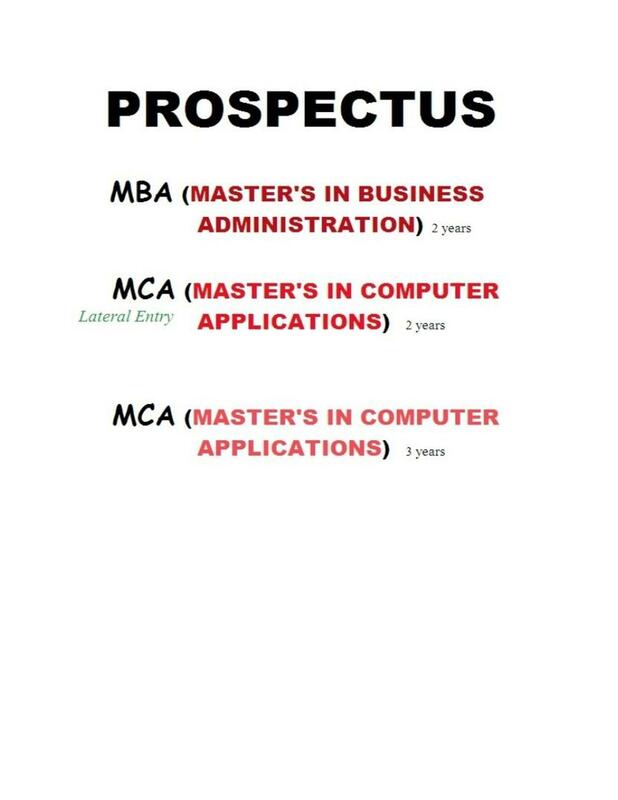 They will give you both practical and theory knowledge, and they are also much helpful. The course is excellent but the management needs improvement. There should be more extracurricular activities and workshops in the campus. The college should take us to industrial trips. I'm somewhat satisfied with the college but it really needs improvement. 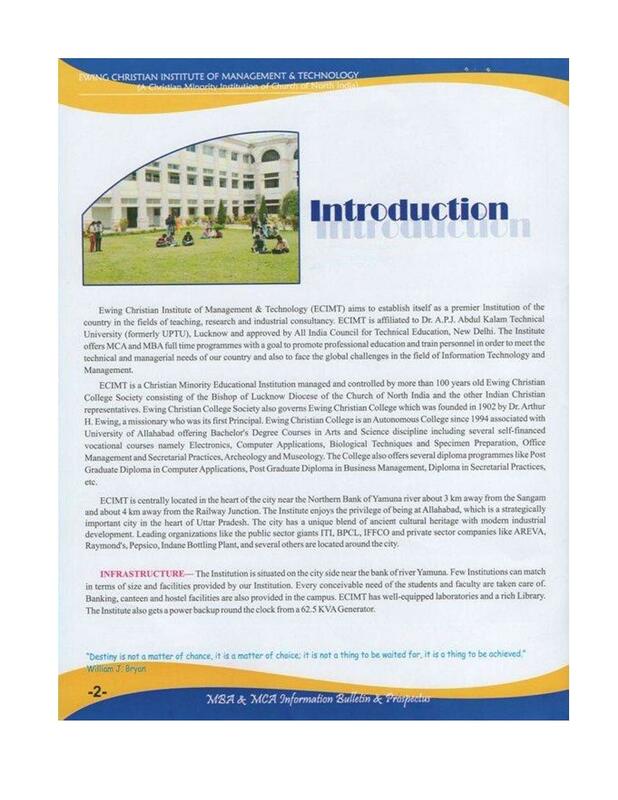 In total i have good experience with my college management they were very helping. Those were actually my golden days. I enjoyed each moment of 2 years and 6 month time in my college. 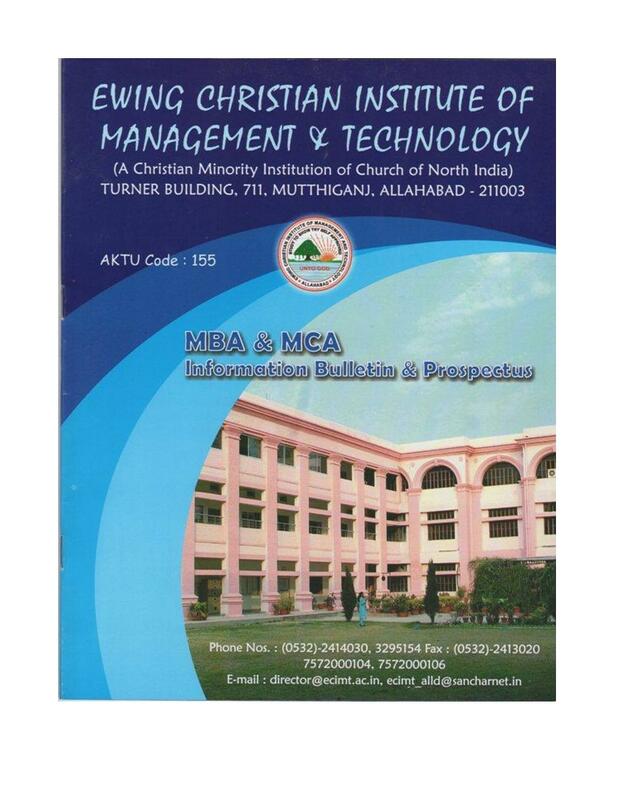 Ewing Christian Institute of Management and Technology (ECIMT) situated at Allahabad was established and run by the Ewing Christian College Society which has experience of around a hundred years in the management of higher education institutions. The collegeâ€™s vision is to establish itself as a premier institution of the country in the fields of management and technology. The collegeâ€™s mission is to create sustainable and intelligent human resource for the regionâ€™s professional training and industrial development. ECIMTâ€™s goal is to promote professional education and train the students and build them to fulfill the needs of the country and to face the global challenges with full confidence and skills. 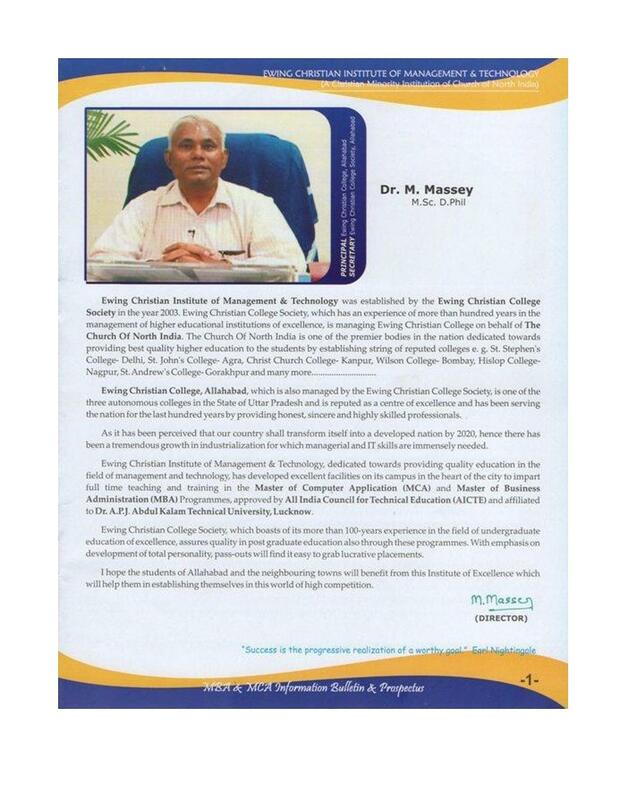 Why to join Ewing Christian Institute of Management and Technology (ECIMT)? Training and Placement Cell: The training and placement cell is very active in ECIMT and make collaborations with renowned organizations and firms and invites company professionals, Recruiters and HR Teams so that the students of the institution get chance of interacting with them and gain some experience and also organize regular GDs, personality development programmes for the students.